Senate Minority Leader Chuck Schumer (D-NY) is mounting a filibuster effort to stop the confirmation of Judge Neil Gorsuch. If he follows through, Majority Leader Mitch McConnell (R-KY) will propose a rules change to end the 60-vote threshold. The Senate will never be the same — and neither will the Supreme Court. After Gorsuch is confirmed on a majority vote, Republicans will be able to fill Supreme Court vacancies at will, with even more conservative judges. 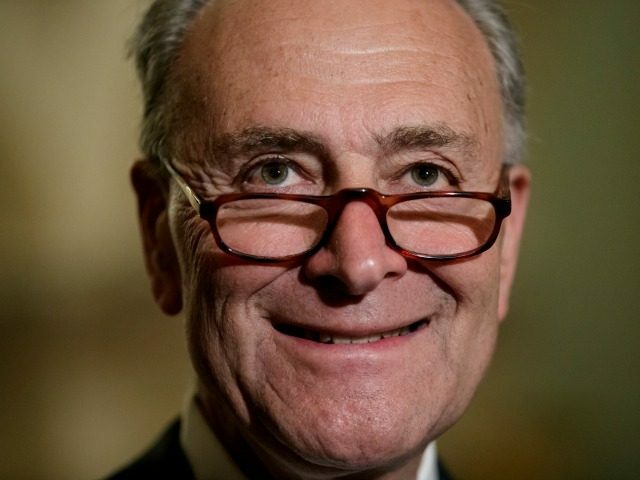 Schumer recalled earlier this year that he had opposed then-Majority Leader Harry Reid (D-NV) when he triggered the “nuclear option” in 2013, eliminating the filibuster for presidential appointments and lower courts. He knows the long-term cost Democrats will pay. By the time they return to the White House, the oldest conservatives on the Court may have been replaced. So even if Democrats want to push their own nominees through, they will have fewer chances. The Minority Leader is doing his best to deflect blame for the “nuclear option” — which conservatives are starting to call the “constitutional option,” since the filibuster is merely a convention grafted onto the underlying process. He says that McConnell is “a free actor,” and that no one is forcing his hand. But the same applies to Schumer — and even more so, because there is no reasonable basis for blocking Gorsuch, whose qualifications and temperament are beyond doubt. Democrats have beclouded themselves trying to find excuses — such as the claim that Gorsuch is not “mainstream,” or that the 60-vote threshold for the Supreme Court (beyond the filibuster) is some kind of binding precedent on Congress. Some of these excuses have been quite instructive as to the fundamental flaw in Democrats’ judicial philosophy: many have offered a version of the argument by Sen. Kamala Harris (D-CA), i.e. that equality before the law is a bad thing. The wise thing for Schumer to do would be to abandon the filibuster effort against Gorsuch, but keep it in reserve for future nominees who might be more ideological than him, or less diplomatic in their presentation. He is being backed into a corner, however, by the so-called “Resistance” and the pink pussyhat posses, who are demanding that Democrats stand up to the Trump administration at any opportunity, and have not stopped to consider the long-term consequences. And so Schumer is leading his party on a kamikaze mission — a show of political force and fanaticism that ends in self-destruction. Ironically, just a few years ago, it was Schumer who routinely taunted GOP leaders by claiming they were too terrified of their own “extreme” Tea Party base to do what was right for the country. Now, like Orwell’s policeman in “Shooting an Elephant,” he is to blame for his own predicament, which only exposes the weakness of his leadership.